This card set, which includes 24 cards, a booklet and a sensory map, guides and informs scent meditation for personal and spiritual growth. 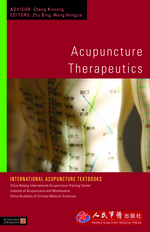 This comprehensive textbook, compiled by the prestigious China Beijing International Acupuncture Training Center (CBIATC), under the editorial directorship of leading Chinese practitioners Zhu Bing and Wang Hongcai, is an invaluable reference for the advanced student or practitioner of traditional Chinese medicine. 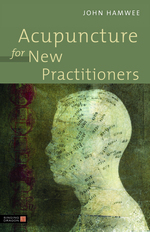 Through his decades-long experience as a practitioner, Dr. Jean-Marc Kespi has returned to the ancient roots of acupuncture and developed an approach to choosing the best points for a given situation. Adrenal Balance Compound, 16 oz. Aller-Calm is primarily for hayfever and other environmental allergies. It can be used as a preventative or used when acute with allergy symptoms. Combination of freeze-dried garlic and cinnamon bark oil. This volume is the first translation of and commentary on the Exposition published in English, and it is among the most comprehensive discussions of the text available in any language. Certified organic and hand-harvested at their peak potency and processed in small batches to maintain the optimal quality of the plant. 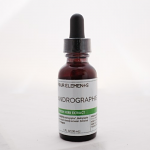 Anemarrhena rhizome - 8 oz. Angelica sinensis root - 8 oz. Angelica sinensis root -- 8 oz. Apple Pectin (Pyrus malus). 1 pound. A two-sided 8.5" x 11" Quick Reference Card for keeping on the counter in your treatment room. Unit Size: 2 panel binder. 8.5" x 11"